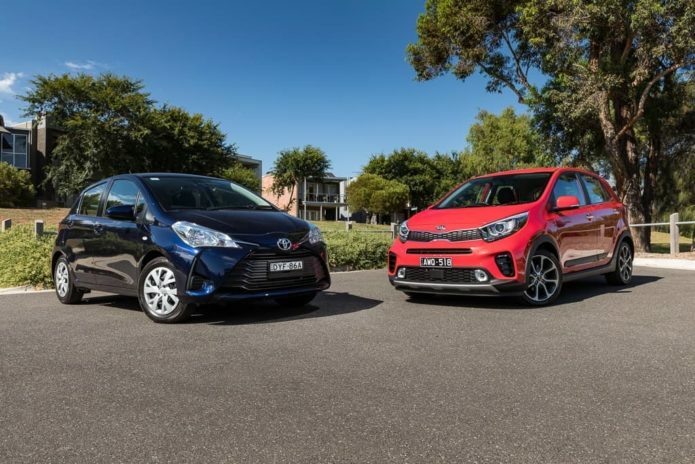 The 2019 Kia Picanto and 2019 Toyota Yaris may be small cars, but these models sell in big numbers. Pint-sized first cars priced under $20k, we want to know if the upstart Kia Picanto can take on the tried and trusted Toyota Yaris? The Toyota Yaris and Kia Picanto are well respected light cars. Priced here at $16,920 (plus on-road costs) for the Yaris Ascent and $17,290 (plus ORCs) for the Picanto AO Edition they’re cheap and cheerful hatchbacks that exist to bring new, usually younger customers to their respective brands – and hopefully keep them on as faithful buyers for life.